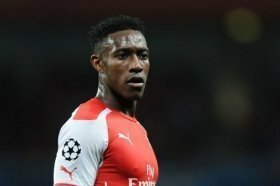 Welbeck open to Norwich City transfer? Danny Welbeck has suffered horrendous injuries at Arsenal and sustained his current injury against Sporting Lisbon last year, a broken ankle, leaving him out of action for what is expected to be the duration of the current season. With just two months left on his own deal, Welbeck's agent is busy researching potential opportunities for the England international and it appears that Norwich City are amongst the candidates for a move. Recently Arsenal coach Unai Emery told reporters that he is still open to extending Welbeck's current contract but needs reassurances from the player and his team that he wants to stay at the Emirates. Welbeck is also being tracked by several other teams at home and abroad.